For outstanding comfort, and extraordinary luxury, the Inspire 360 Davinci from Country Coach is the only way to travel! 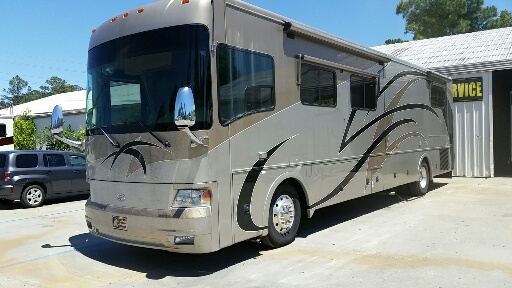 This Class A motorcoach is equipped for absolute relaxation on and off the road so you can travel with confidence and peace of mind. The Davinci serves up plenty of power and a smooth ride thanks to the Caterpillar C9 400 HP diesel engine backed by an Allison MH 3000 6-Spd transmission and paired with a Dynamax raised rail chassis with Independent Front Suspension. 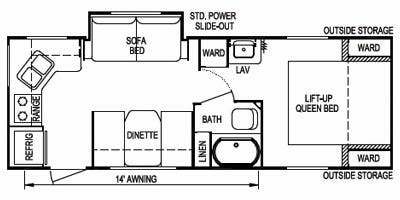 The Davinci has three slide outs, a Living Room Slide (12' 7" X 30"), Kitchen Slide (11' 6" X 19"), and a Bed Room Bed Slide (6' 6" X 22"). The rear master bedroom suite includes a walk around Queen bed, reading lamps, nightstands, wall mounted TV, a combination washer/dryer, and a mirrored closet. A split bathroom at the mid-section has an enclosed shower and 2 sinks. Outside the Davinci, you will find lots of storage in compartments, a backup camera and a power awning. This masterpiece of cutting-edge engineering and expert craftsmanship evolves to a new level of comfort and style, exceeding the high expectations of the most demanding motorcoach enthusiasts. Step inside, and take the wheel. Put the Inspire 360 Davinci to the test with YOUR next adventure, and raise your own expectations of motorcoach travel.